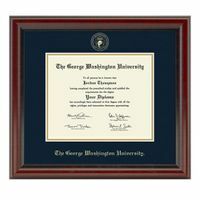 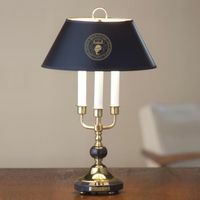 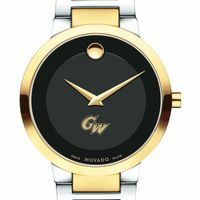 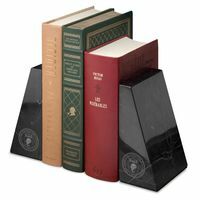 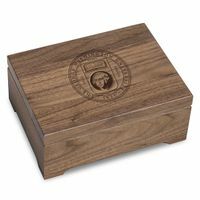 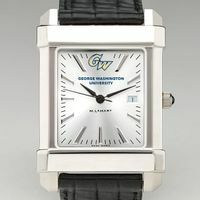 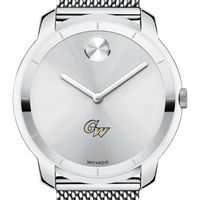 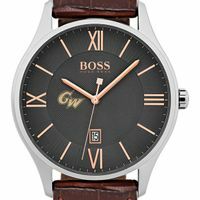 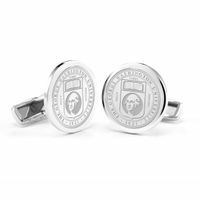 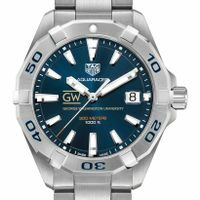 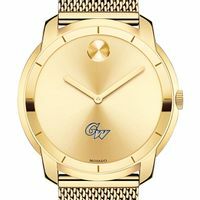 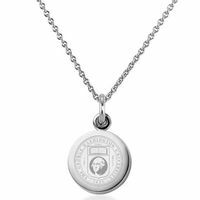 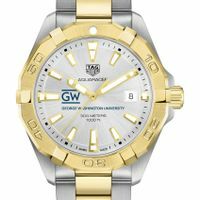 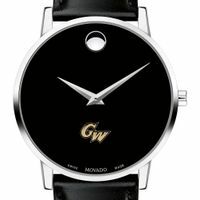 This George Washington University original features the George Washington Logo on our sophisticated new dial with a sunray brushed metallic finish. 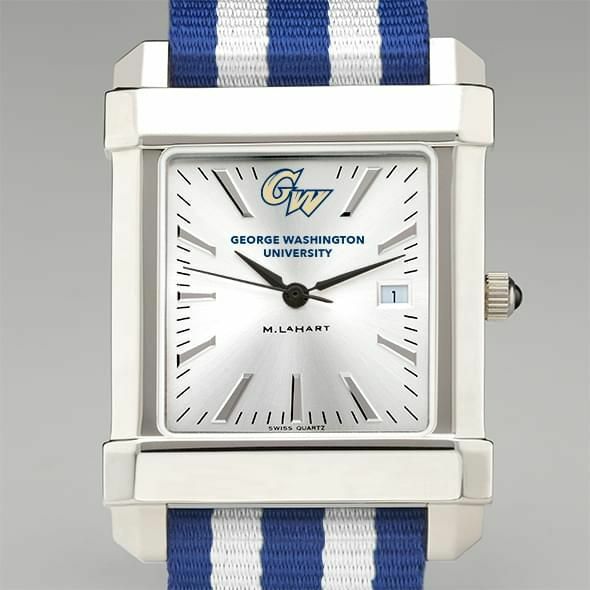 The NATO strap popularized by James Bond now features your school colors for the first time. 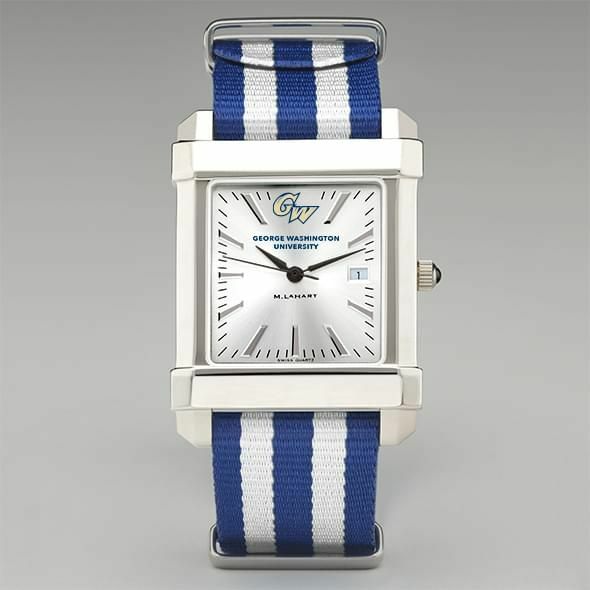 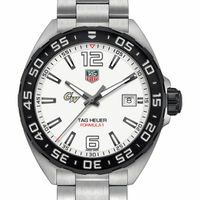 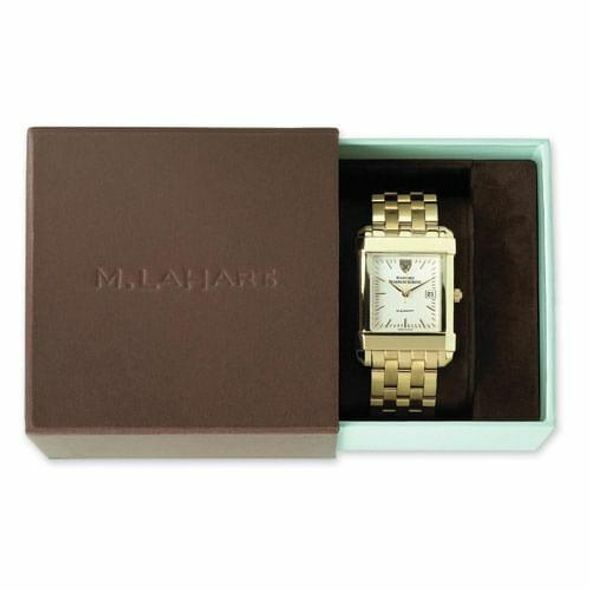 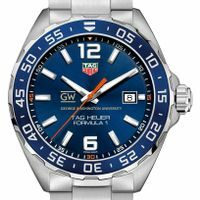 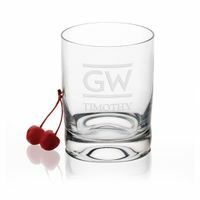 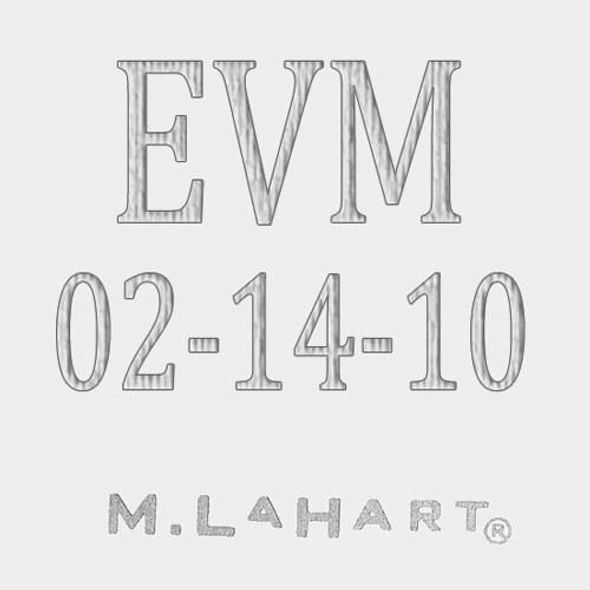 Free personalization available on the back of the watch with initials and graduation year.